Using many quilting techniques the students of Uintah High School create these beautiful works of art. They work their magic on regular sewing machines using free motion to machine quilt. The colors they use are bold, beautiful and brave. Come into the museum to appreciate the beauty. The show will be up until April 25th. Collectively, the art in this exhibition reflects how play seems to be trivialized in our changing world. Traditional play has become jeopardized as parents see their children’s activities relegated to screens. It is hoped viewers will be inspired to bring play back into children’s lives in ways that evoke wonder, creativity, and natural curiosity. This exhibition is a partnership between the Sears Art Museum Gallery and Dixie State University, and the show features artwork in a variety of media by artists from Utah and Arizona. For more information on the Sears Art Museum Gallery, visit www.searsart.com or like their Facebook page at www.facebook.com/SearsArtMuseumGallery. ​It is a fabulous show! 44 Beautiful Quilts, come vote for your favorite! See link below for printable page! Winners from the Juried Art Show are as follows: First place, Sherril Porter, of Naples; Brandi Cameron, of Vernal; Cheryl Young, of Roosevelt; John Teem, of Roosevelt; Lori Burchinal, of Vernal; Sandra Benteler, of Myton. Second place: Lori Burchinal, of Vernal; Bonnie Jensen, of Vernal; Kay Webb, of Tridell; Jean Taylor Starr, of Vernal; Deena Millicam, of Vernal. Honorable Mention: Garth Harrison, of Vernal; David Harris, of Orem; Lynn Mecham, of Roosevelt; Darryl Newton, of Rock Springs; Kay Webb, of Tridell; Lori Burchinal, of Vernal; Bonnie Jensen, of Vernal. Congratulations to Marianne Morton. She received the Popular Choice Award in the Uintah Arts Council Outlaw Trail Festival. She receives 2 tickets to the performance of Beauty and The Beast. The art exhibit will be on display through Saturday 27th. on display March 10th - April 3rd. We are open 9am-6pm Monday - Friday and 10am - 4pm on Saturday. Closed on Sundays and Holidays. As always we are closed on Sundays and Holidays.
" Showing Off our Own"
Through the years the museum has purchased or has received by donation many works of art. Our Van Cott pieces are permanently displayed however, a lot of our art is in storage. This month we will be celebrating some of the art that is not on display. The show will be hung this week and run until the end of the month. 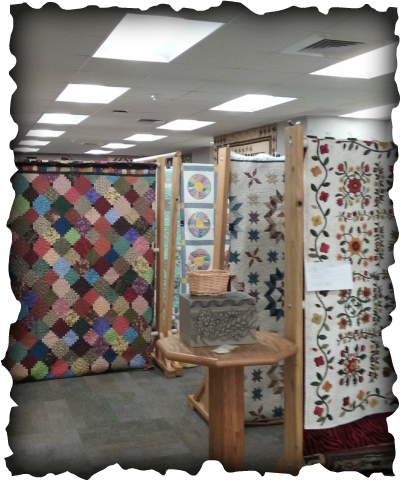 The Uintah County Heritage Museum encourages fine arts in the community and exhibits a different display each month. Artists display a variety of art, sculpture and photography during the year. In addition, we have a wide variety of fine art included in our artifacts, including several special collections. Juried show sponsored by Uintah Arts Council’s Outlaw Trail Festival of the Arts. You may enter any or all of your entries in either the “Theme” category or in the “Landscape”, “People” “ or Flora/Fauna” categories. Mix and match your entries as you will. Patrons of the Museum will have their loaned Christmas Nutcracker(s) on display. We will accept the Nutcrackers Thursday December 4th through Saturday December 6th. Exhibit will be on display Tuesday December 9th through Friday December 19th. Patrons can pick them up on Saturday December 20th or Monday December 22nd.